With the Insolvency & Bankruptcy Code taking a major role in the business sector dispute, it is imperative to learn about its clauses and garner more awareness for its better applicability which is going to speed up the recovery process. 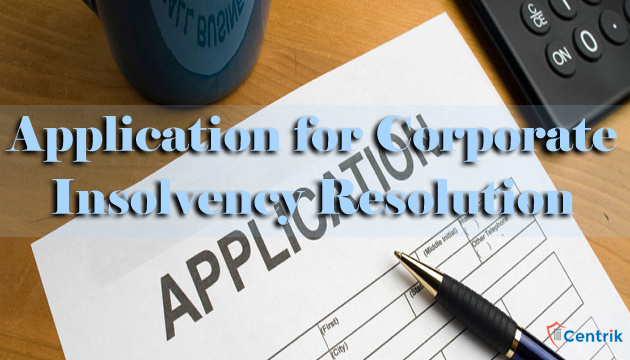 In this article we will briefly discuss about how to rectify defects if any in the application for initiation of Corporate Insolvency Resolution Process along with case laws. If application is incomplete, seven days’ time is to be granted to complete application- Innoventive Industries v. ICICI Bank (2017) 142 SCL 11 = 82 taxmann.com 190 (NCLT). Earlier, in J.K Jute Mills Co. Ltd. v. Surendra trading Co.(2017) 142 SCL 188 = 81 taxmann.com 307 (NCLT) (quoted and followed in Balageria Central Coop. Bank v. S R Green Housing Projects (2017) 143 SCL 515 =84 taxmann.com 307 (NCLT), it was held that provision of removing defect in seven days, application shall be rejected. Now these decisions stand overruled. Defect in application can be removed. If an application is incomplete, it can be completed, but if any misleading statement is made, no time can be granted for recalling misleading statement and application has to be rejected- Starlong Enterprise v. ICICI Bank(2017) 142 SCL 1 = 82 taxmann.com 189 (NCLAT) – quoted and followed in Tirupati Infra Projects v. Bank of India (2017) 143 SCL 5 = 85 taxmann.com 93 (NCLAT). Where a corporate debtor has committed a default, a corporate applicant thereof may file an application for initiating corporate insolvency resolution process. While the corporate applicant has to be vigilant during filing of application. Any defect still has the scope to be rectified but any misleading statement would lead to rejection of the application. Corporate applicant should be sincere in filing the application and avoid defects.